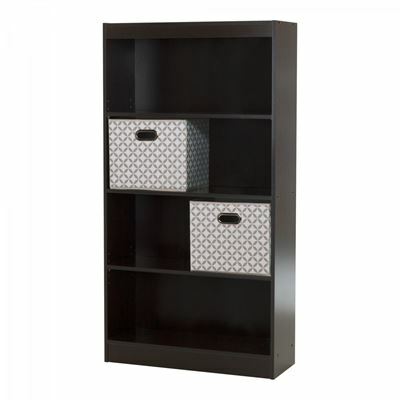 Axess 4-Shelf Bookcase W/ 2 Fabric Storage Baskets by South Shore. Today's the day you take back your living room. So roll up your sleeves and get down to it: this cute bookcase and set of baskets are perfect for keeping all those toys out of sight, so everything has a place… and the room will look so neat and tidy – the way it did before the kids arrived. 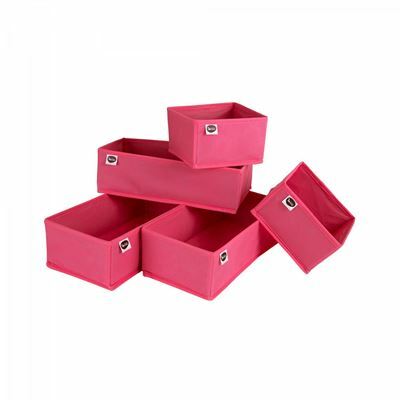 Includes 1 shelving unit and 2 fabric storage baskets with pattern, taupe and white. Shelving unit features 4 open storage spaces, separated by 1 fixed shelf and 2 adjustable shelves. 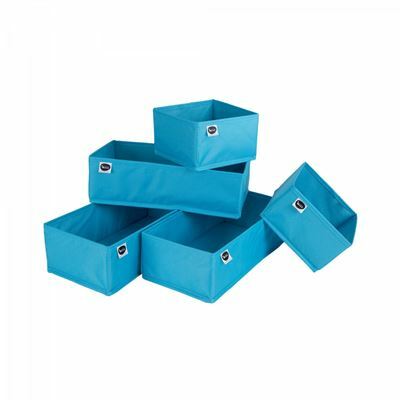 Storage baskets: Wipe clean with a damp cloth, 100% polypropylene. Other accessories not included. Requires complete assembly by 2 adults (tools not included). Ships in 2 boxes, make sure to have a friend with you. Packaging tested and certified to reduce the risk of damage during shipment. 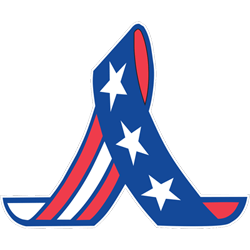 Furniture made in North America with non-toxic laminated particleboard, baskets made in China with polypropylene. 5-year quality guarantee on furniture, 30-day satisfaction guarantee on accessories.